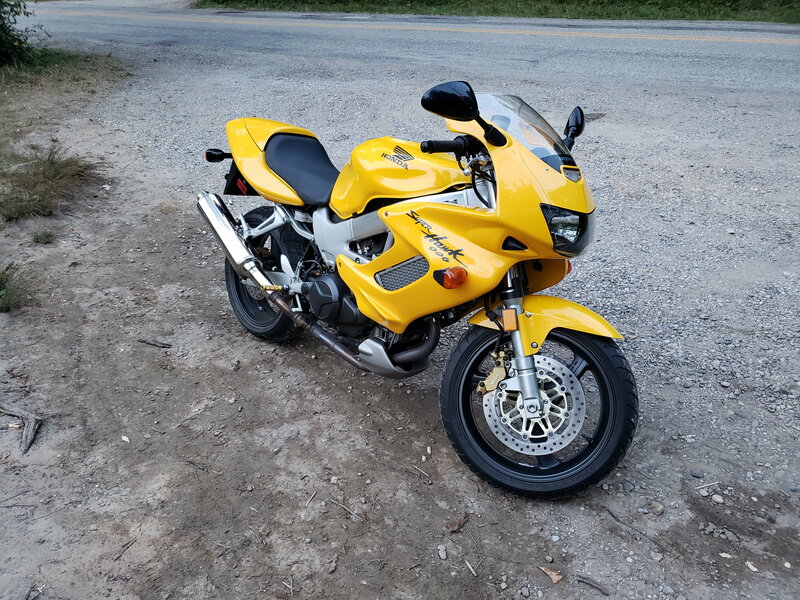 Just picked up a super clean 2000 Superhawk in what apprarently is the fastest color (yellow). Bone stock, garage queen, with just over 5k miles. Found this forum, joined up, and am taking some serious notes as I dig through the older posts. Aside from a full fluid change and new tires, I will quickly be updating the CCT and RR. I don't really have any questions as anything I would ask can be found in this forum. Just wanted to introduce myself and say I'm really proud to own my new bike and excited to be part of this community. Sounds like you got a clean bike, ..Seems Most of the Yellow ones never left the garages much ....embarrassed to be seen in chicken Yellow I guess. 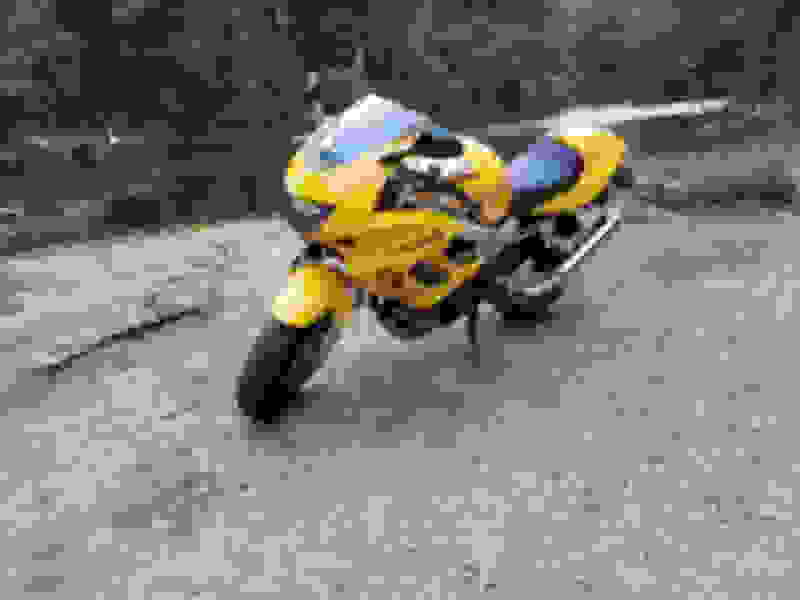 Ive read even painting them the better Red color does not work, as beauty is only skin deep, and at its core, the bike will still know it was born yellow. Is it truly unmolested? Bone stock? Very nice find. 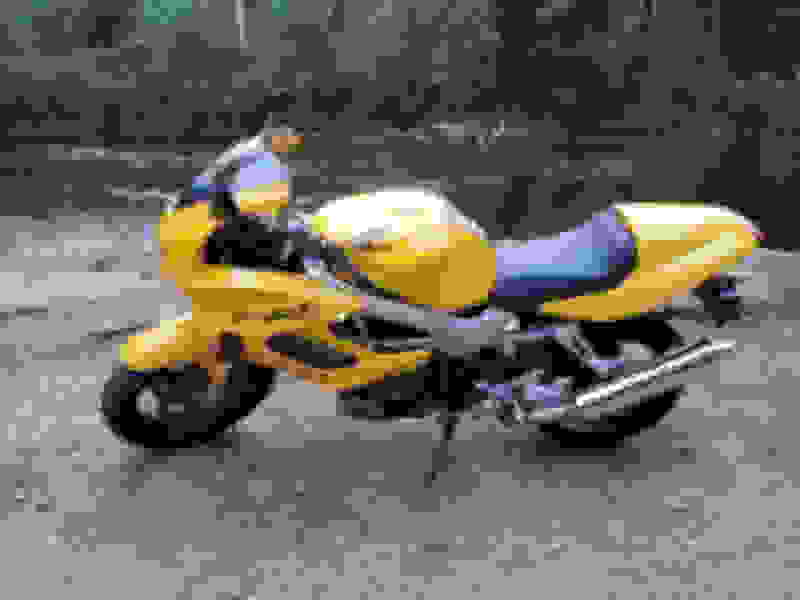 Have fun with the new bike and ask all you want, its why forums exist, if you cant find it with a quick search, ask.. Someone here will know. I also have a yellow 2000 but mine was used and abused. Im slowly trying to fix all the little things. So far im loving mine. Welcome. Pay Marquez's jibes no mind. He had a red one, must have been too much for him, even in red, as he dumped it, replaced it with another red one knowing he didn't have what it takes to handle the yellow. I love the jabs, Marquez. To me that's a perfect introduction to this forum. Here are a few pics I took on my inaugural ride after getting it registered and changing the oil. Looks unmolested except for foot pegs and tank pad, that is rare find these days. I tried the foot pegs like those, but they just did not offer me anything I liked, and transmitted more vibes, as well as being slippery when wet. OEM Rubber padded ones were pricey and overly large/ heavy I thought so I found some aftermarkets that fit the bill. Last edited by E.Marquez; 08-15-2018 at 11:35 AM. Good call on the pegs. Just ordered a set. Welcome RF. Nice clean example ya got there! Get to know her and sort out the 2 big issues then you will have a very reliable steed that will give you years of enjoyment. wow, clean bike. 5k shows.